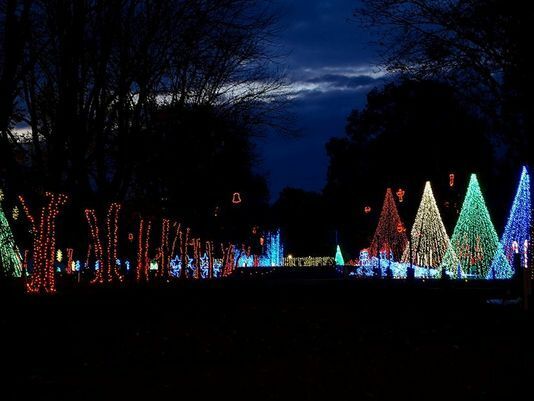 If you have not had the opportunity to check out The Dancing Lights of Chistmas previously located at Jellystone Park in Nashville, now is your chance! This 8th annual event has moved to the Lebanon, Tennessee fairgrounds at 945 E. Baddour Parkway making it close and convenient! This spectacular light show, the largest in Middle Tennessee, comes with new displays and an extended drive route, some new rocking' Christmas tunes and an expanded Fox17 Santa's village. It is $25 per vehicle to drive through with your radio tuned to their Christmas music channel to enjoy the show at your pace. After the show be sure to stop in Santa's village to get pictures with Santa, pony rides, inflatables, delicious treats, or Christmas crafts for great prices. Right now, Monday and Tuesday through December 12, you can get $3 off when you bring in 3 or more canned items for the 2nd Harvest Food Bank. They are also doing a Facebook contest this week to anyone who visits the show Monday, December 4 - Thursday, December 7! Just give them your name and email address at the ticket window and you will be entered into a drawing for a $250 Visa gift card. They will announce the two winners on their Facebook page on Friday, December 8th. It is a must to get you in the Christmas spirit and enjoy family time!